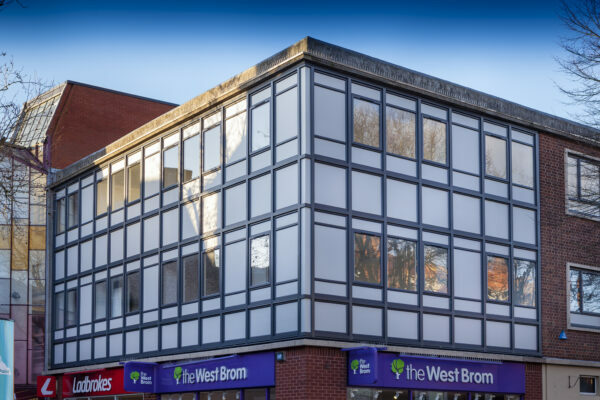 Retail outlets rejuvenated and changed into 14 one bed apartments by Profile 22 Offices on Evesham Walk in Redditch have been rejuvenated into 14 one bed apartments with new curtain walling and casement windows from leading PVC-U manufacturer Profile 22. Chartered architects and chartered surveyors Masefields Consultancy Services approached Profile 22 installer Goldstar Windows to upgrade the curtain walling and casement windows on a commercial and retail block in the middle of Evesham Walk, a prime commercial and retail area in the busy town of Redditch. 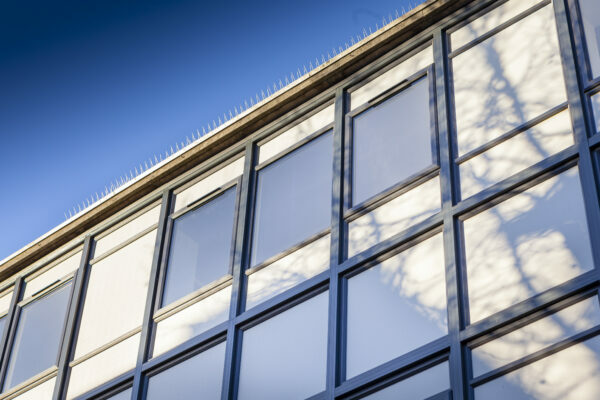 The work would help maintain thermal efficiency in the building as well as give the aesthetics a new lease of life. I Goldstar Windows has a wealth of experience in commercial installations. The company, led by Noel Preece, manages every project in-house with an emphasis on strict quality control procedures and attention to detail. 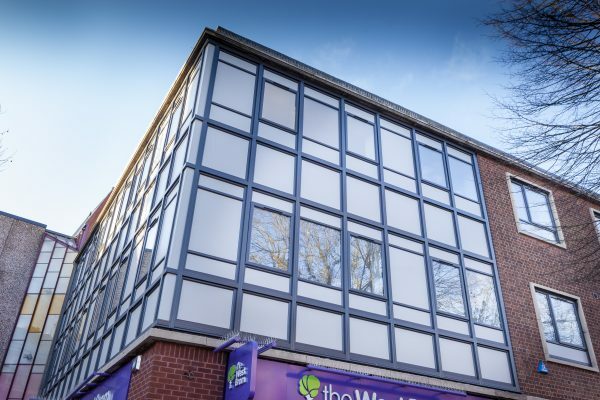 Noel was delighted to be awarded the contract to install curtain walling and casement windows in the Evesham Walk property but was aware that with such a high profile project, all technical queries would need to be clarified and discussed in the planning stages. He knew that his long-term partner, Profile 22 Approved Window Contractor frameXpress, would be able to provide any additional expertise that was required. Together, Noel, Dave and Gary Millership, Specification Manager at Profile 22, worked closely to ensure every element of the project met the specifications and fabrication and installation would run smoothly. A full survey was carried out with Gary who then produced the designs, training and on site support. The products chosen for the project were Profile 22 curtain walling SK250and Optima C casement windows. 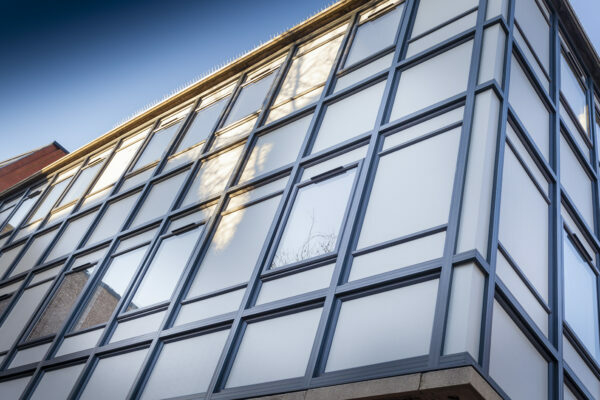 Profile 22’s curtain walling system combines quality, sustainability, aesthetics, price and performance.